Are you disgusted by your short, stubby eyelashes that lack luster? Maybe, you're ready for those tiny hairs to grow? 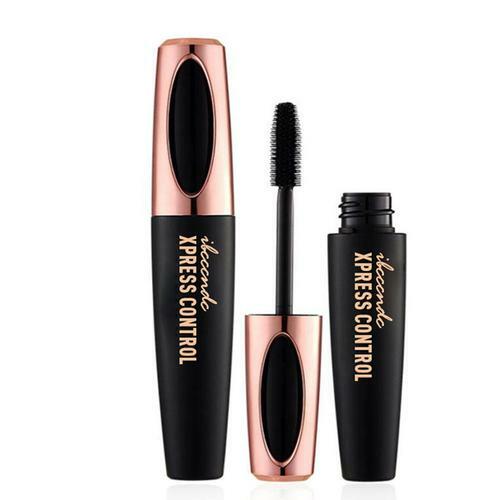 If you desire length and volume for youe eyelashes it's high-time you discovered our amazingly magical mascara. Our formula will boost your lash growth like never before! Designed to work instantly, you'll see an increase in length and volume with the FIRST APPLICATION! Our 4D Silk Fiber Lash Mascara will boost your confidence and have you looking like a vixen. No glue! Hypoallergenic! Non-irritating ingredients! If you desire extremely long lashes, make sure your eyelashes are completely dry before applying another coat. Use product often for maximum results. FINALTOUCH - THE ONLY HAIR REMOVER YOU'LL EVER NEED! COMPACT ELLE BEAUTY ORGANIZER - KEEPS ALL YOUR COSMETICS IN ONE PLACE!